Kevin Volland opened his Bayer 04 Leverkusen account in style on Sunday as they defeated Delbrücker SC 4-0, while TSG 1899 Hoffenheim won by the same margin and there was an even bigger victory for RB Leipzig. Kevin Volland was on fire for Bayer 04 Leverkusen as they beat local amateur side Delbrücker SC 4-0, Kevin Kampl netting the other goal for Roger Schmidt's men. 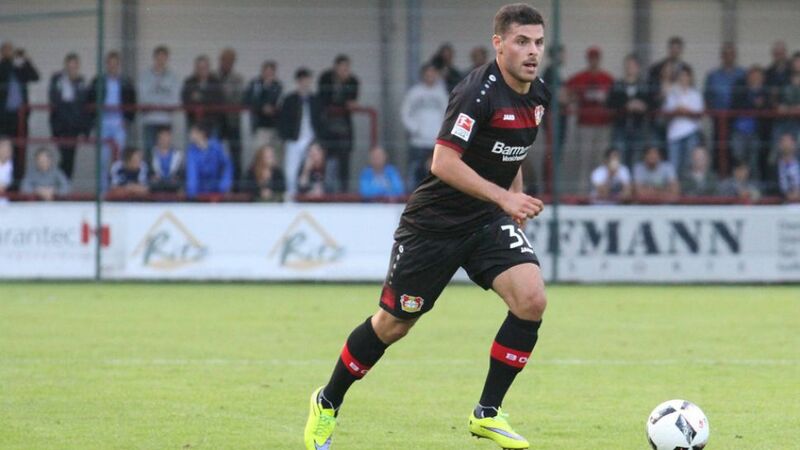 Volland, a summer signing from TSG 1899 Hoffenheim, showed no mercy on the club which launched Schmidt's coaching career in 2004, netting his first two goals in a Leverkusen shirt within just six minutes. Kampl added a third approaching half-time, before Volland completed his hat-trick in the 53rd minute in front of some 2,000 fans. Terrence Boyd made a successful comeback from an 18-month injury lay-off as Bundesliga newcomers RB Leipzig put ten past 1. FC Frankfurt without reply. The USMNT international came on in the second half, with the scoreline already 6-0 thanks to a hat-trick from Davie Selke, two goals from Timo Werner and one from Naby Keita, and added his own name to the scoresheet in the rout. Hoffenheim won their first pre-season friendly with new signing Kerem Demirbay on target in a 4-0 triumph over FC Vaduz. Steven Zuber opened the scoring after half an hour with Sandro Wagner making his debut for Julian Nagelsmann's men. Mark Uth added the second from the penalty spot with a much-changed team taking to the field after the break, and that included Demirbay, who rounded off the scoring after Uth had made it three. "I'm confident we'll get even better in the weeks to come," said Nagelsmann. Hertha Berlin came out on top of a four-team tournament in Duisburg, beating hosts MSV Duisburg on a penalty shoot-out after a 2-2 draw over 45 minutes. Julian Schieber scored twice for the Old Lady after Sebastian Langkamp had found the back of the net in a 1-1 draw with FC Nantes. Eintracht Frankfurt came third in the mini-tournament after being held to a goalless draw by the hosts and beating Nantes 3-1 in the third-place play-off, Luc Castaignos, Omar Mascarell and Stefan Aigner on target for the Eagles. "We've still got a lot of work ahead of us," admitted Frankfurt coach Niko Kovac. Click here for an overview of all the summer fixtures involving Bundesliga clubs.